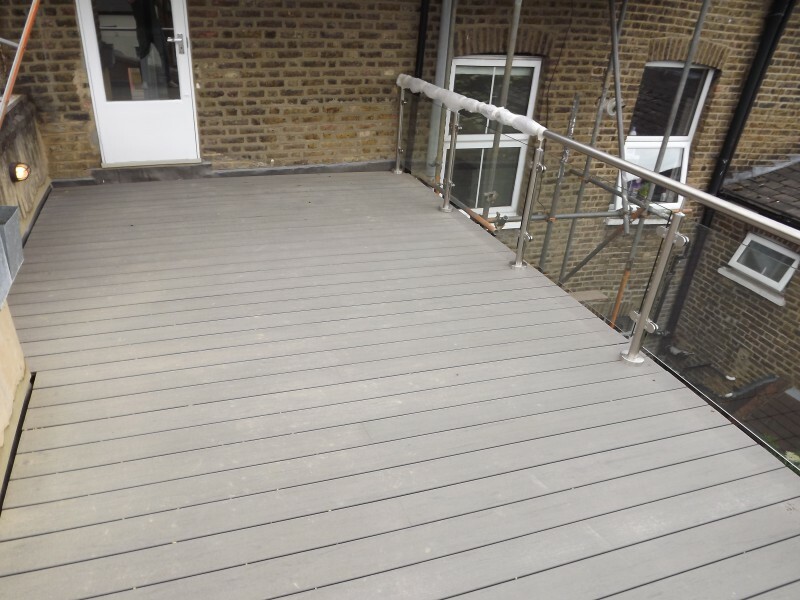 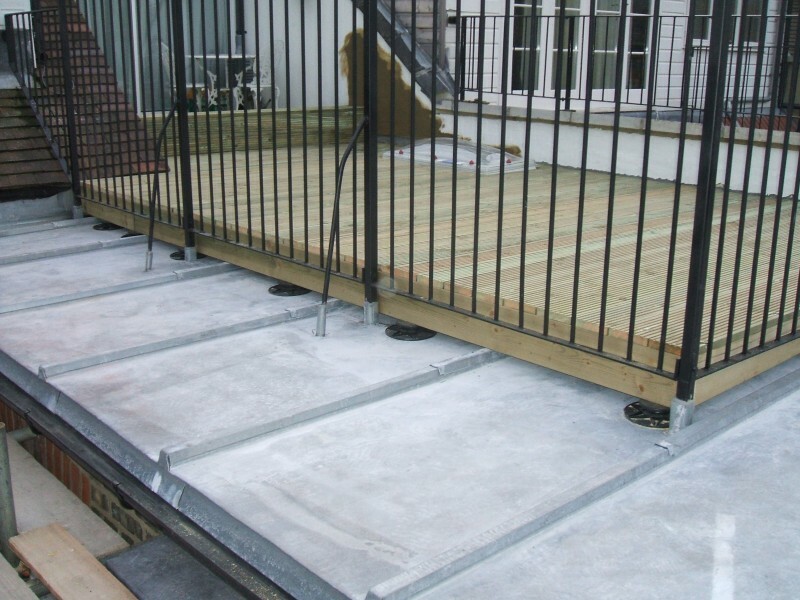 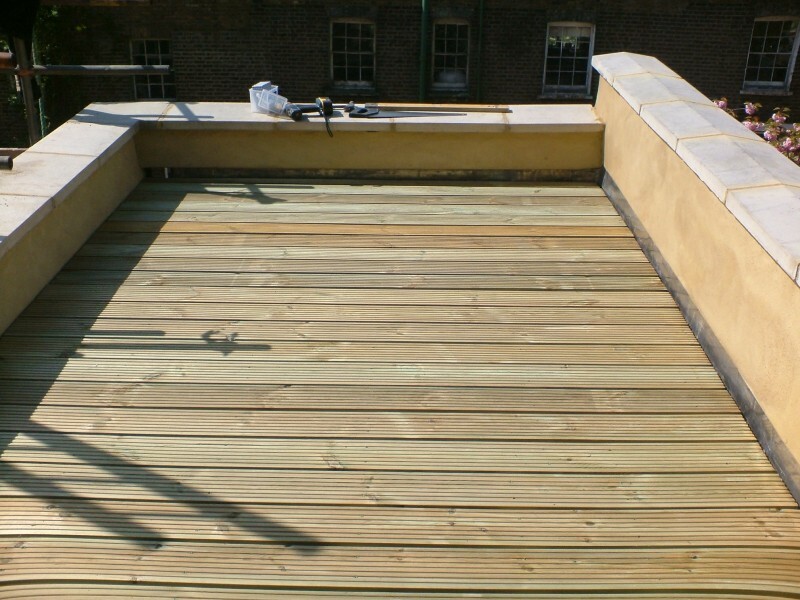 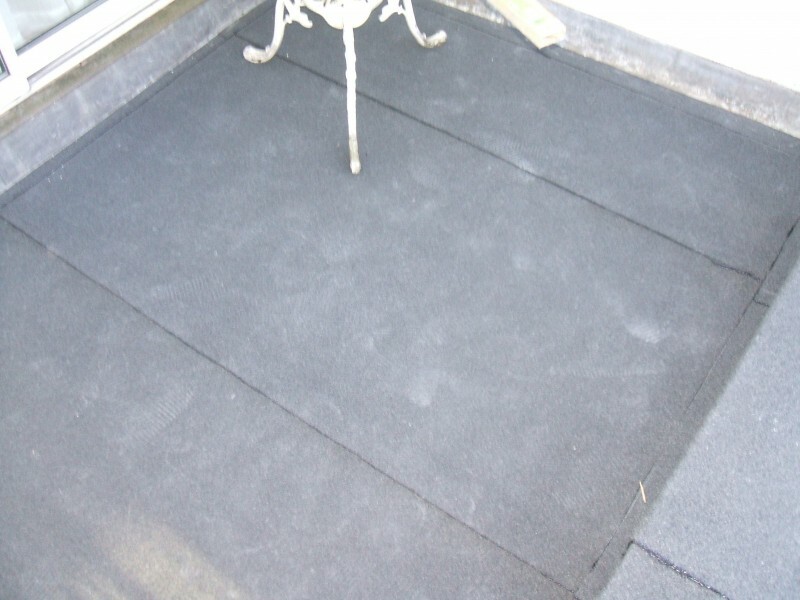 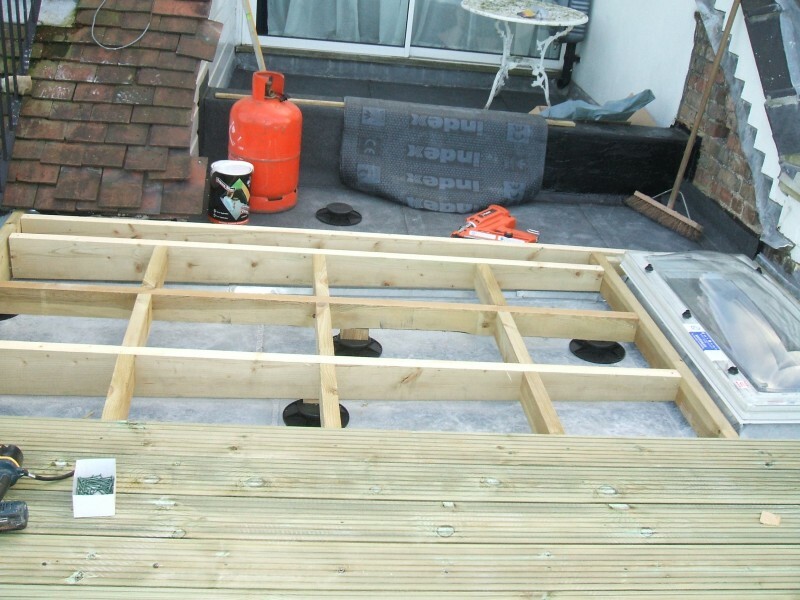 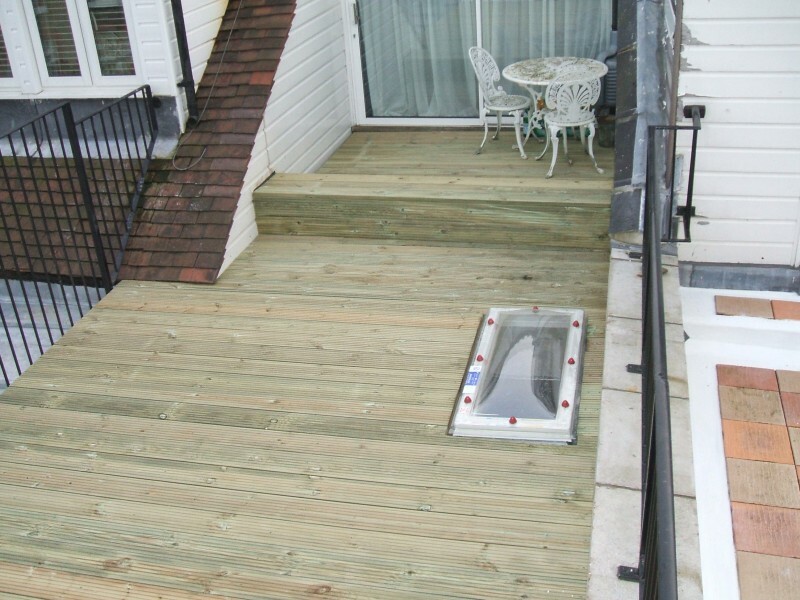 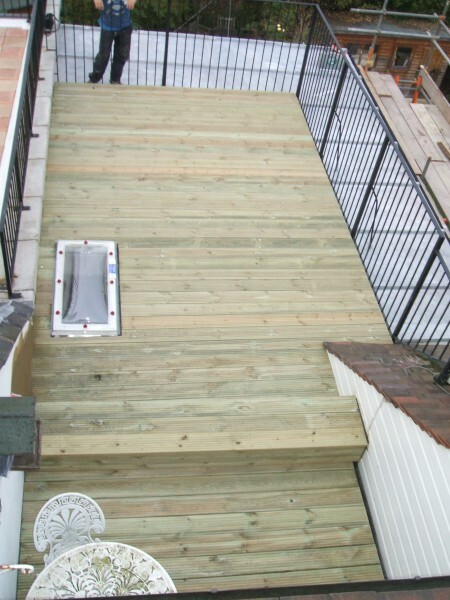 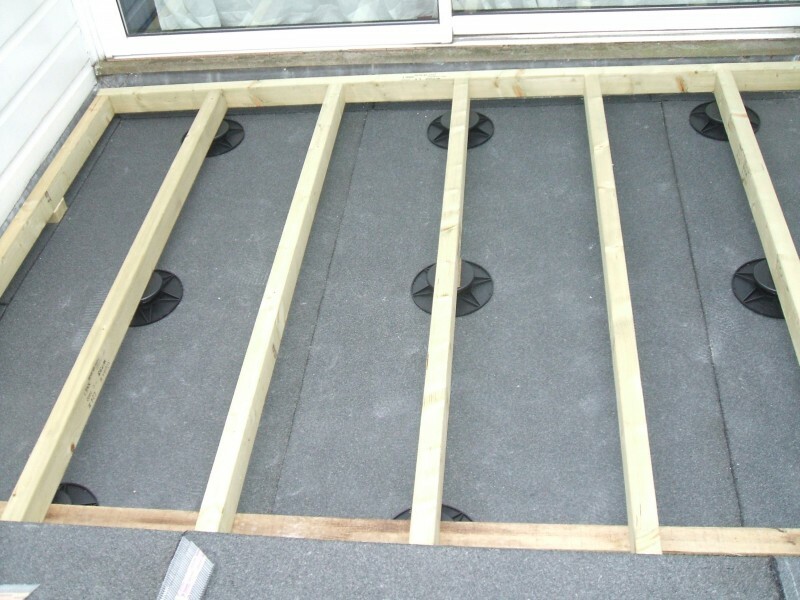 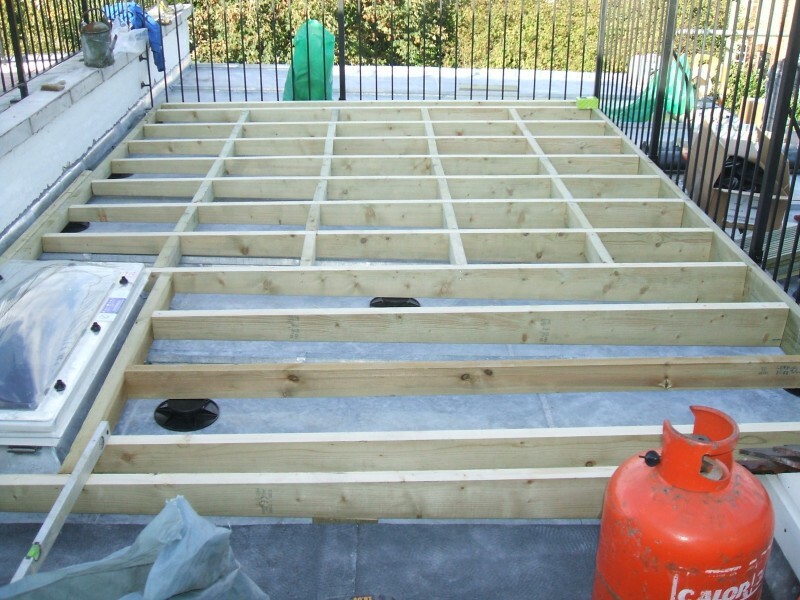 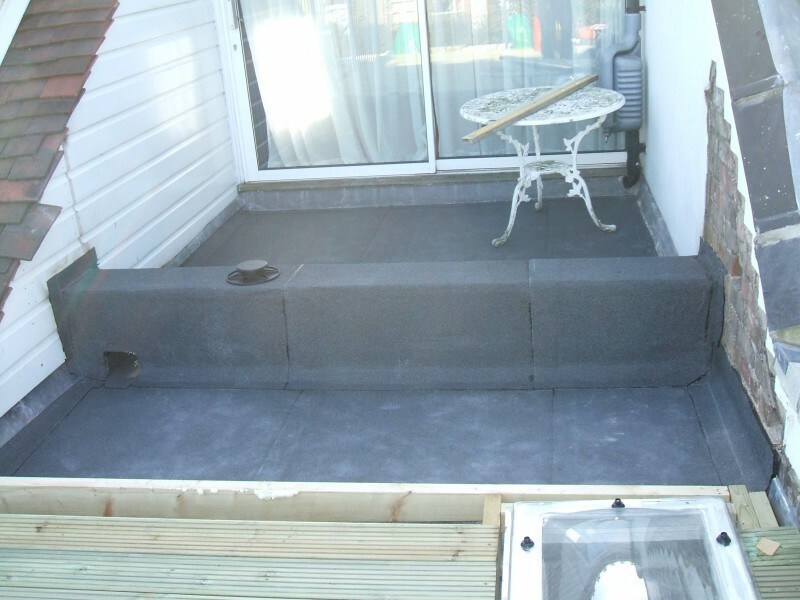 Our client had plans passed to convert their flat rear addition roof into a terrace area. 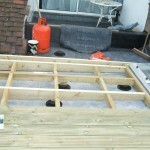 This was a complex job as there was a large steel RSJ running across the roof. 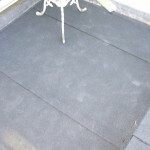 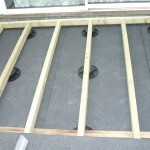 The first section of roof and the RSJ was covered with an Index torch on felt system. 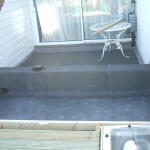 The second area was covered in a 14 gauge zinc roof all fabricated by hand. 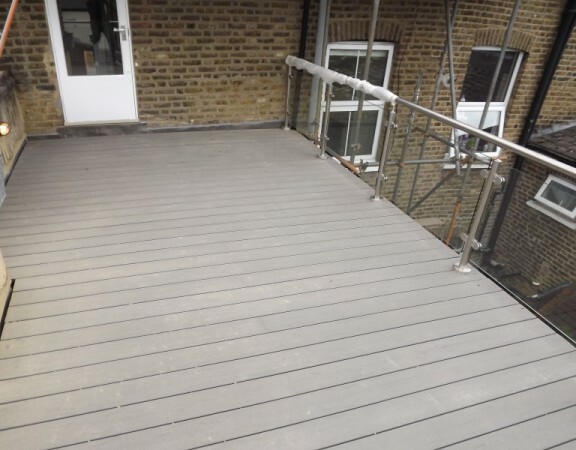 We then had a new iron balustrade installed. 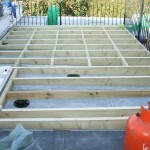 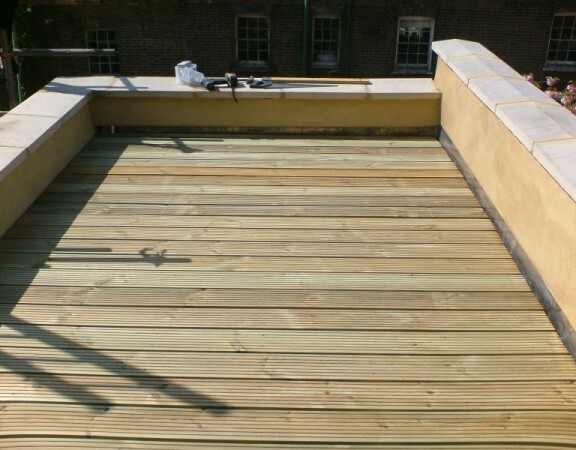 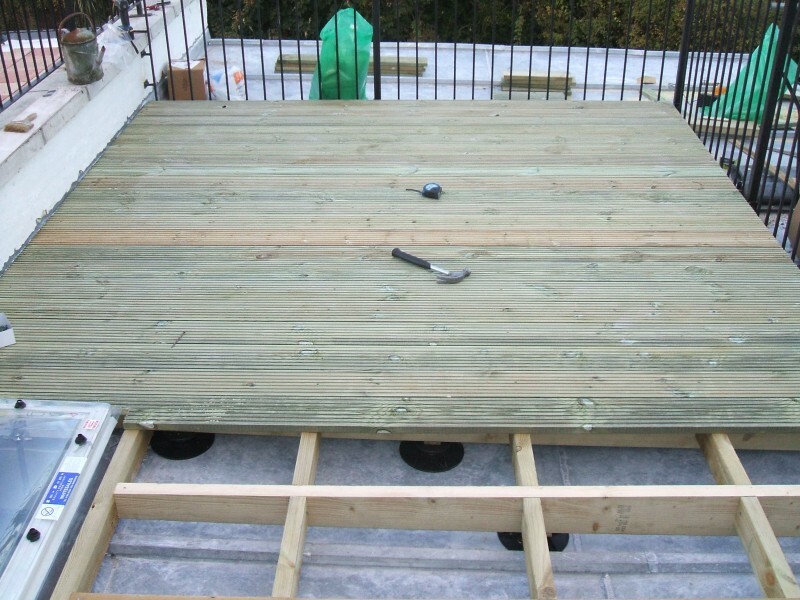 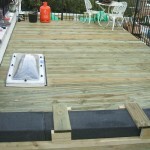 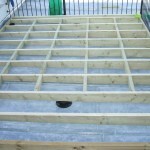 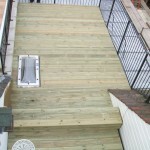 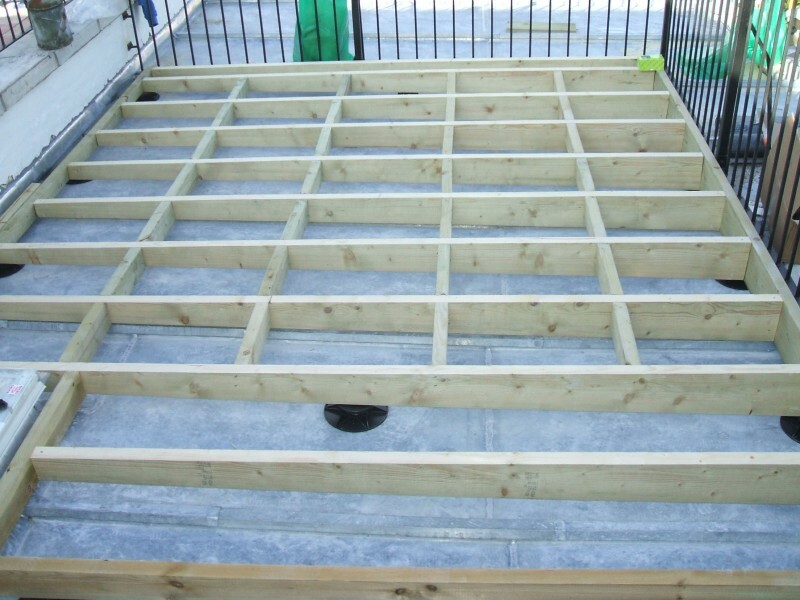 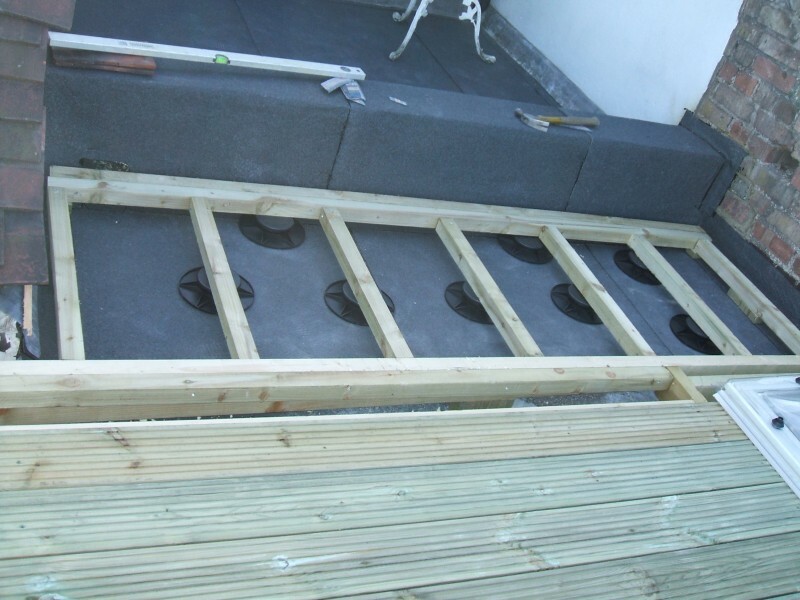 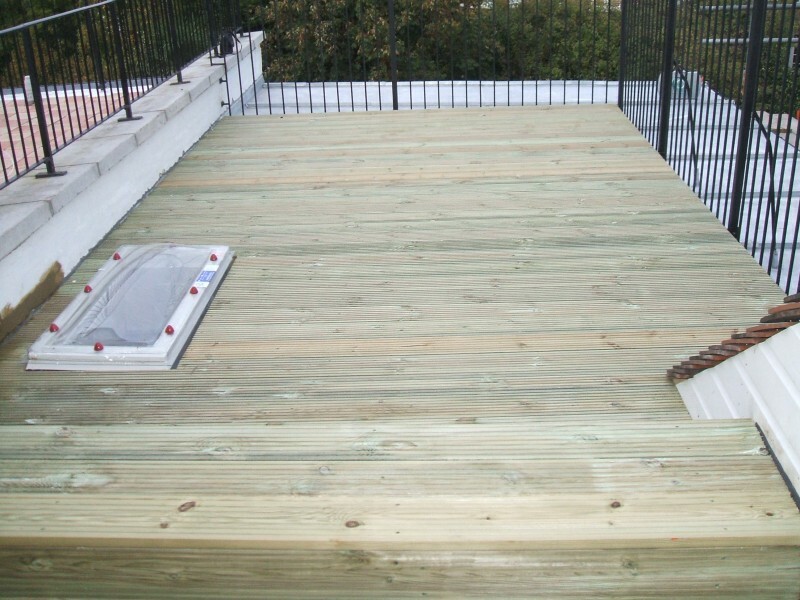 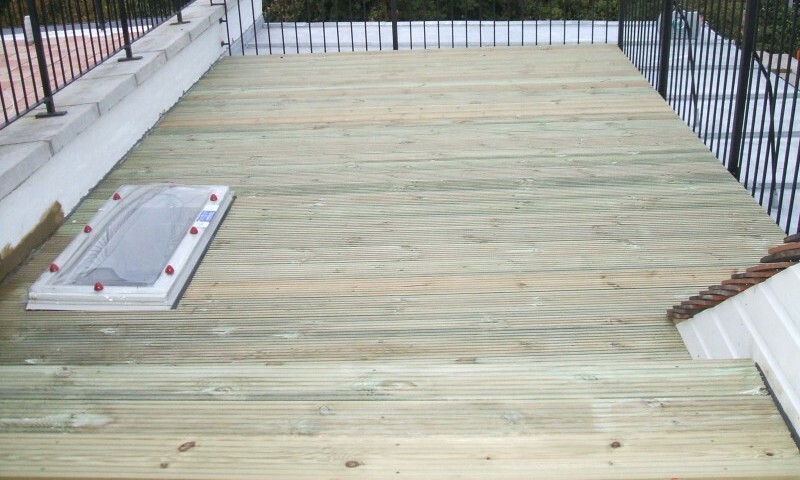 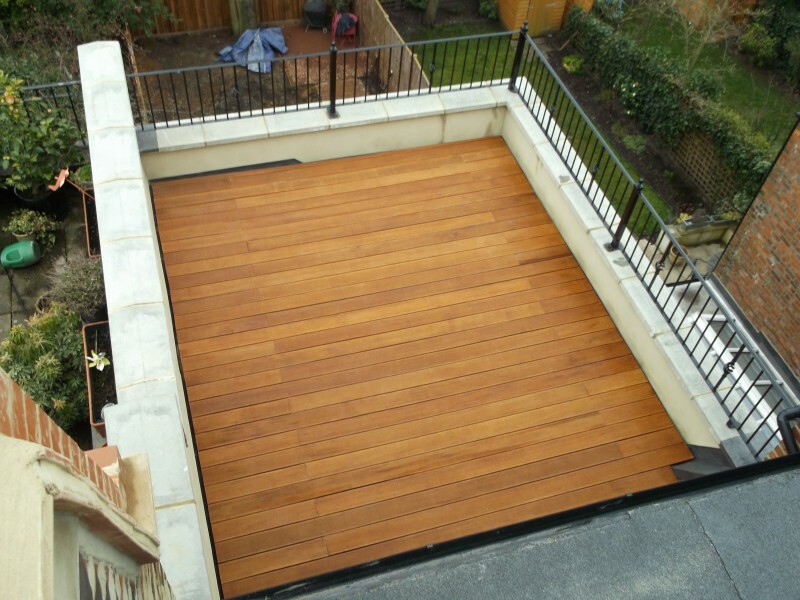 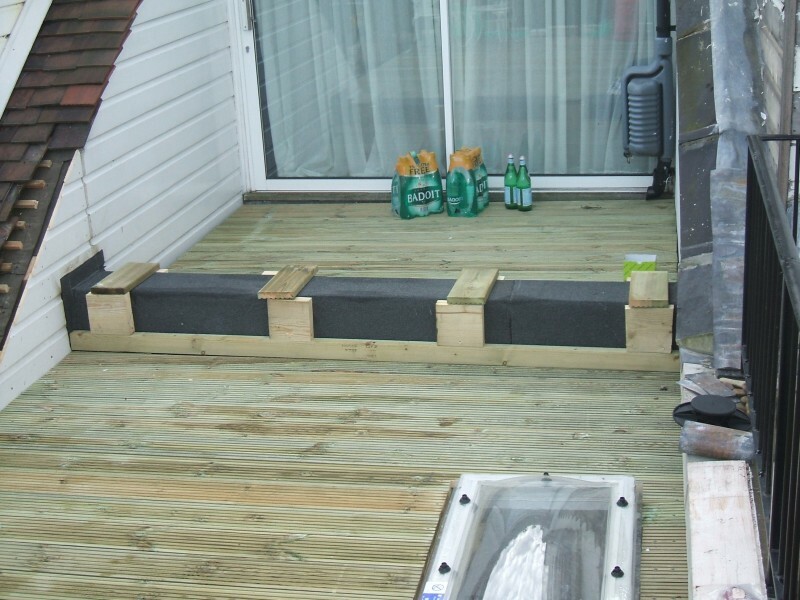 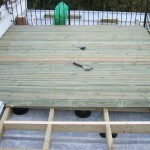 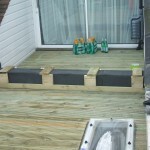 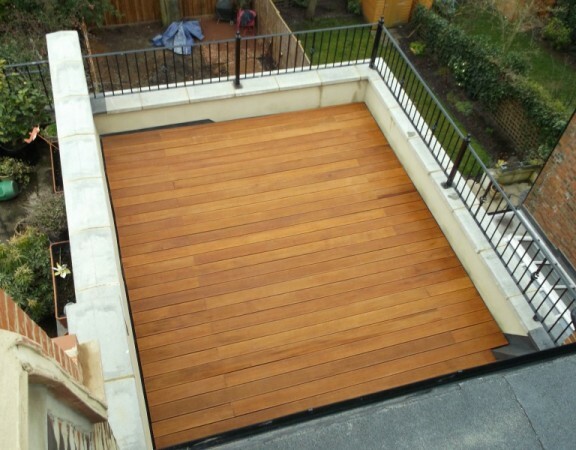 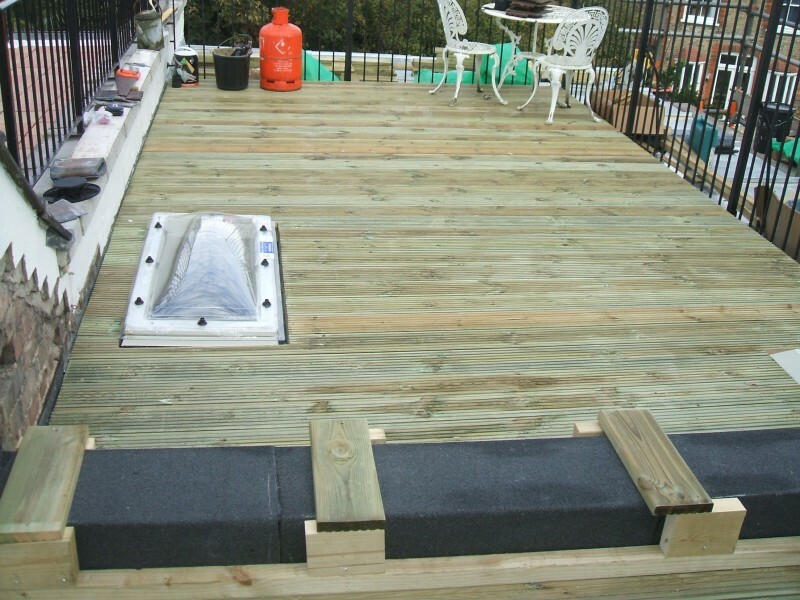 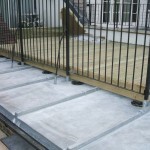 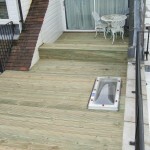 Finally the area was fitted with a timber frame the fitted with new decking. 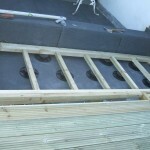 The photographs below show the works throughout.